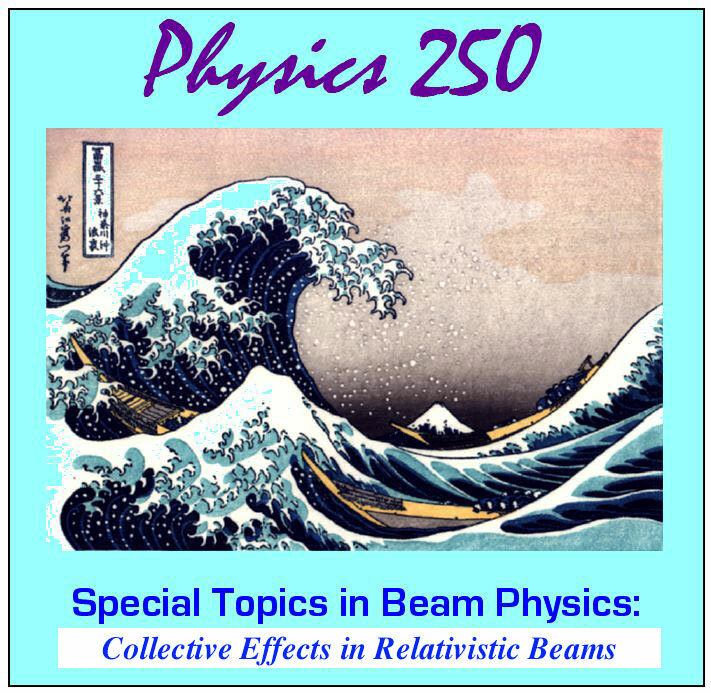 The undergraduate course in beam physics, Physics 150, at UCLA has been developed over the last several years by Prof. Rosenzweig, with the active participation of PBPL undergraduate and graduate students. The presentation in the course proceeds by first reviewing methods in classical mechanics, especially relativity and Hamiltonians, as well as how these methods are related to electrodynamics. With this foundation, a set of illustrative physical examples are introduced which allow the wide variety of scenarios encountered in beam physics to be explored through simple and useful models. The discussion is unified in several ways: the methods of analyzing the transverse dynamics of charged particles (optics) are unified to the discussion of acceleration; the physics of acceleration in linear accelerators is joined with that of circular accelerators, and the beam evolution of charged particle and laser beams are treated with great overlap in approach. Technological aspects of accelerators -- e.g., magnets and accelerator cavities -- are included in the discussion. Independent study is afforded students through the Physics 199 course, and a number of undergraduates have taken advantage of this opportunity to do research projects.